David Attenborough tells the full story of a 20-year study of the meerkat, the longest-running animal behaviour study in the world. Meerkat pups Squirt and Weeny belong to one of the most famous animal families on the planet, animals that are now stars of screens both big and small. These furry celebrities are also part of the longest-running animal behaviour study ever, entering its 20th year in 2013. 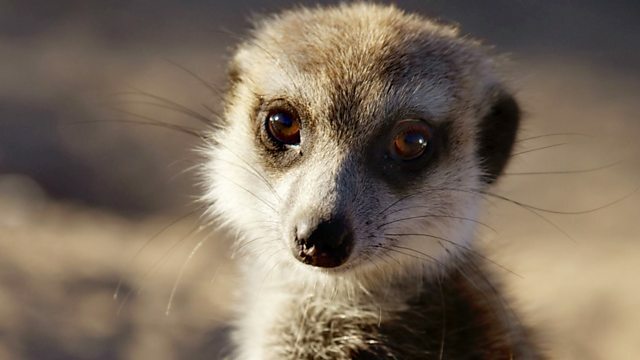 David Attenborough tells the full story of the study - from its pioneering days when it was a challenge to even get close to a meerkat, to the very latest revelations about these animals and their complex lives. For Squirt and Weeny, the study means very little, as they are facing up to the challenge of a drought and one of the toughest years in their family's history.